​As a loving pet owner, you are free to share your sofa, backyard, and living space with your pooch. But the one thing you shouldn’t share with your furry friend is your shampoo. Sure, human shampoo will keep locks soft and lush but it won’t have the same effect on your dog’s skin and coat. On the contrary, it might cause him harm, such as itchy skin, hair loss, and other skin problems, especially if it constitutes chemicals that are too harsh for his skin. Thankfully, there are hundreds of pet-friendly grooming products customized specifically for dogs’ needs. But these dog shampoos are not created equal. Some have moisturizing effects, which help to deal with dry skin; others have pleasant scents to tackle odor problems. Another type of shampoo is the one designed for dogs with skin allergies. This article explains how dogs get skin allergies and shampoos can help to treat this condition. Why Do Dogs Get Skin Allergies? Seasonal allergies – Some common allergens that affect individuals seasonally can also affect your dog. These include pollen, trees, mold, dust,and weeds. In fact, a common culprit for your dog’s skin allergy is grass pollen. Apart from dog shampoo for allergies, air purifiers can also help in minimizing the incidences of seasonal allergies. Food –intolerance to a certain food is another likely cause of your dog’s skin allergy. Common food products that pups are allergic to include beef, soy, wheat, and dairy. Fleas – ifyour pooch strays often or likes mingling with stray dogs, chances are that he’s infected with fleas. Saliva from just one or two of these parasites or their bites can trigger a skin allergy causing bumpy lesions to form on your dog’s skin. Chemical contact – did you expose your mutt to household cleaning products and detergents? If you did, it is possible that they triggered his current skin allergy. To avoid this, be careful when using chemicals in areas that your dog visits, sleeps, eats from or rubs against. Medication –some types of antibiotics and vaccinations can also cause skin allergies in the form of hives. Often, these hives disappear within a day. But, if they don’t, a dog shampoo for allergies can help. Alternatively, consult your vet on the best course of treatment. Fabric – occasionally, your dog’s skin allergy could be triggered by something as trivial as the fabric on his bed. Materials such as wool can sometimes cause your dog to itch. To prevent this, use hypoallergenic fabrics on his bed and keep his bed clean to prevent any triggers. Also, before purchasing bedding for your dog, check the label as fillings such as feathers can also be allergens. How Can Dog Shampoos Help? 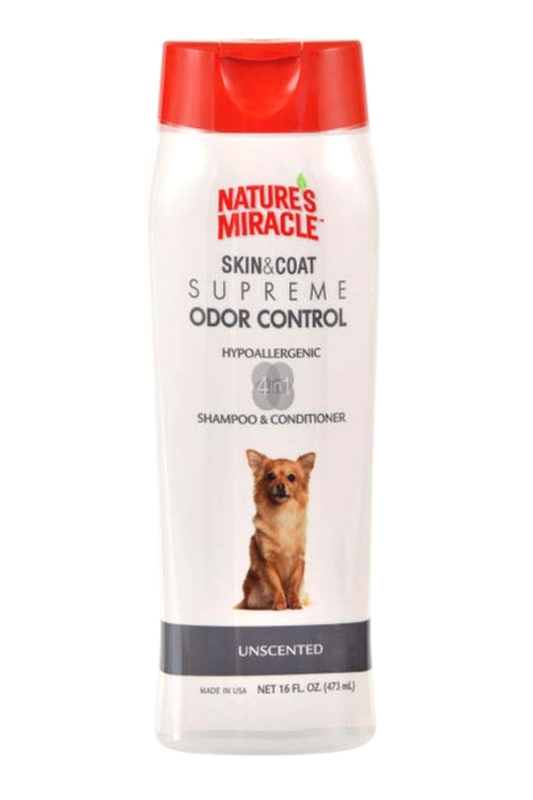 There are tons of dog shampoos designed specifically to treat skin allergies. These shampoos serve one of two functions: minimize the symptoms that trigger the skin allergies or improve your dog’s resistance to the allergen. Since they are formulated using natural ingredients such as tea tree oil and aloe vera, these shampoos are very gentle on his skin. Aloe vera, in particular, is very soothing, prevents inflammation, and serves as an excellent treatment for dry, flaky skin. As stated earlier, some shampoos are also designed with moisturizing ingredients, which are good for treating such dry skin. Every veterinarian will tell you that the first aspect they examine to determine if your dog is healthy is the condition of their coat. 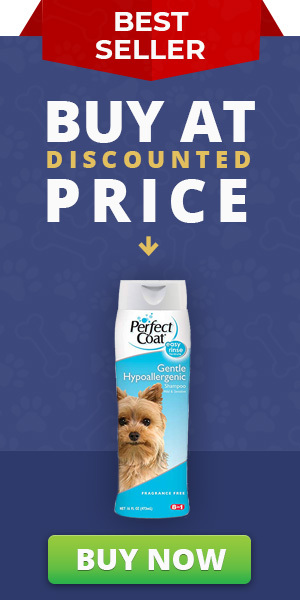 If your pup is healthy, then his coat is going to be smooth, shiny, and lush. Conversely, a dull and brittle coat is a sign of an underlying problem. In the same way that humans use moisturizers and lotions to keep their skin hydrated, your mutt’s skin and coat also need regular TLC to stay healthy! For pet owners living in areas with low humidity, chances are that their dogs’ skin will become dry quickly. For such dogs, using supplemental oils like coconut and olive can keep their skin looking healthy and fresh. Since dogs interact with the environment and other animals more often than you probably do, they need shampoos that consider these factors. When considering the pH balance scale, your pup’s skin is closer to the alkaline end of the spectrum than the human skin. Essentially, the pH range for human skin is between 5.2 and 6.2; hence acidic. In contrast, the pH for healthy dog skin ranges between 5.5 and 7.5. That said, using a human shampoo on a dog could disrupt his skin’s pH balance, making him susceptible to bacteria, parasites, and viruses. It’s important to emphasize that you should always choose a dog-specific shampoo to ensure that you maintain the pH balance of his skin and coat. For dogs with skin allergies, the perfect shampoo ought to have a neutral pH range of seven. Be sure to read the label and see the pH level indicated. Steer clear of brands that do not reveal the pH of their dog shampoos. For the best experience, you should look for ingredients that improve your pup’s skin health. For instance, natural or organic products are not only good for human skin but dogs as well. These include products like aloe vera, vitamin E, honey, and Tea tree oil. If your dog often finds his way into the garbage, you should look for a shampoo that is not only gentle to his skin but also has a nice fragrance. Dog shampoos with natural scents like lavender and eucalyptus are the best for such instances. Since 1984, Burt’s Bees has been manufacturing natural products that nourish human skin and now they have shifted their focus to man’s closest companion: dogs. 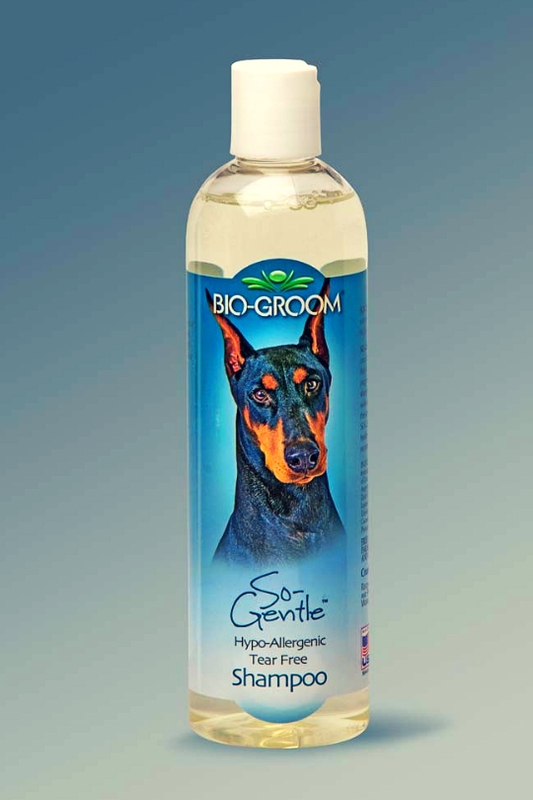 This particular shampoo is hypoallergenic, meaning that it’s gentle on dogs with sensitive skins. It is formulated with two essential ingredients that make it stand out from the crowd—shea butter for moisturizing and hone for that shine-boosting effect. During use, apply the shampoo liberally on your pup’s wet coat. Start with his head down to his toes while carefully avoiding his eye region. Afterward, rinse him and dry with a towel. Apart from Shea butter and honey, the other ingredients in this shampoo are glycerin, beeswax, glycerin, xanthan gum, potassium sorbate, water, coco betaine just to mention a few. 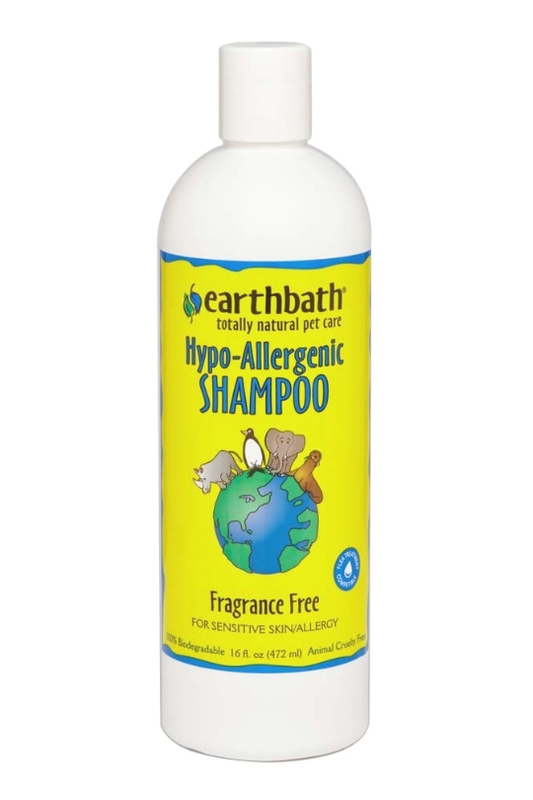 ​​Another shampoo that is tailored for dogs with skin allergies is the Earthbath Totally Natural Pet Shampoo. Like our top pick, this brand prides itself on using natural elements to make its cleansing products. Another plus of this shampoo is the fact that it’s fragrance-free. So, if your pup is picky about the fragrances of his grooming products, this shampoo will come in handy. Unlike the first two shampoos, the SynergyLabs is not made of natural products. Instead, it’s formulated using synthetic products, which will also not irritate your dog’s skin and coat. This shampoo is mild, soap-free and tear-free. 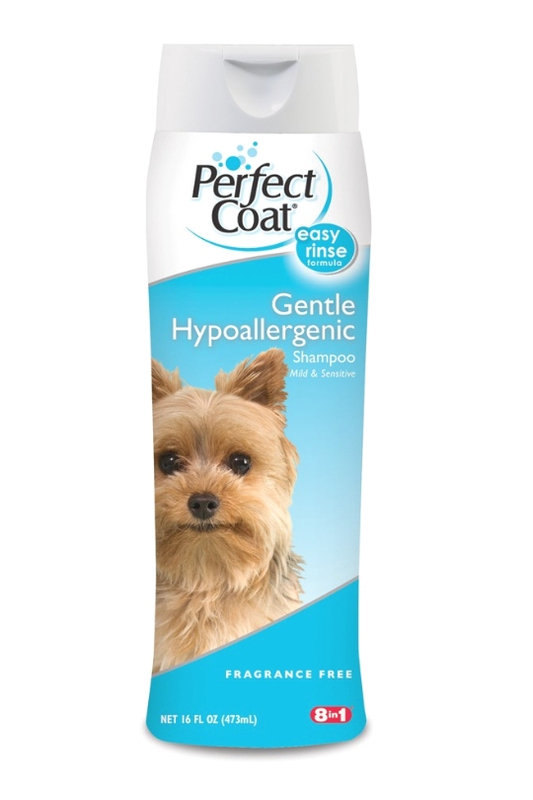 Plus, it’s gentle enough to be applied to both dogs and cats. Another benefit of this shampoo is that it does not contain any dyes or fragrances, which can affect sensitive pooches. If you’ve been looking for a dog shampoo that provides relief to your dog’s sensitive skin, the hypo-allergenic shampoo by Vet’s Best makes a strong contender. Based on numerous customer reviews, this shampoo relieves itching while also helping to smoothen dry skin. That is not all.This dog shampoo contains a blend of natural ingredients, which include but are not limited to aloe vera and vitamin E. The manufacturer claims that pet owners can use the shampoo as often as needed as it won’t cause any adverse effects. 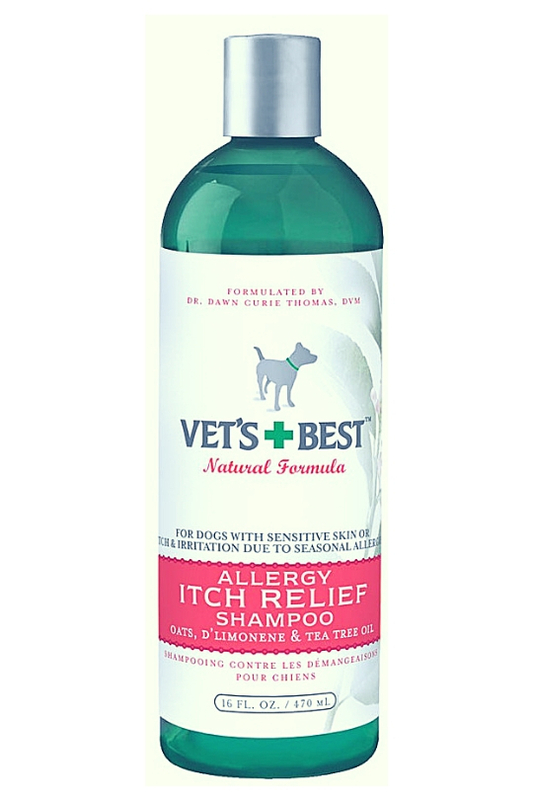 Furthermore, the shampoo works well alongside other treatments, especially the topical elements used in getting rid of fleas and ticks. Fleas and Ticks - There are myriad flea and tick products on the market. Some are designed to keep these parasites at bay, others are designed to kill them while others can accomplish both purposes. If you suspect that your dog is infested with parasites, look for a shampoo that can fend them off. However, you shouldn’t expect this shampoo to provide long-term protection so you should supplement it with other flea and tick prevention measures. Age - Other than your pup’s skin type, you should also take his age into consideration. Put simply; buy puppy shampoos if you own a really small dog and adult shampoo for a more mature pup. This distinction is important as puppy shampoos tend to be gentler than those meant for adult dogs. Similarly, most puppy shampoos have tear-free formulas so they don’t cause any irritation on your pooch. Odor - As stated earlier, some dogs stray off or interact with stray dogs and get dirty, messy, and smelly in the process. If your pooch is one of the adventurous ones, we recommend getting a deodorizing shampoo, which is good at getting rid of such smells. Shine - Some aspects like diet and failing health can also cause your pup’s coat to appear dull and lusterless. Thankfully, you can restore its shine using a nourishing shampoo enriched with minerals, vitamins, and proteins. Color - If your dog’s coat looks white, pale, or lighter than usual, a specialty shampoo that can serve as a brightener or whitener will be useful. Such a shampoo helps to prevent the yellowing and fading of your dog’s coat while also improving its luster. Tangles - If your dog’s coat is always looking dry or tangles easily, a shampoo-conditioner can solve both issues by restoring moisture. For stubborn tangles, consider using a separate conditioner after applying the shampoo on his skin. Convenience - Waterless shampoos and wipes are suitable for pet owners who are constantly on the go and like taking their dogs with them. These kinds of shampoos also come in handy for dogs that are averse to water. Regardless of your dog’s needs, you’re sure to find a shampoo that suits your mutt. However, keep in mind that these dog shampoos are not designed in the same way. In fact, some contain ingredients that can cause irritation or harm your dog’s skin. Consequently, you should always check the ingredients listed on the shampoo’s label. If it has artificial fragrances and dyes, then it might not be the best option for your pooch. Instead, look for shampoos with natural fragrances such as eucalyptus, chamomile, and citrus. Another aspect we’d like to emphasize on is that you shouldn’t use a shampoo meant for human use. As explained earlier, human skin is less sensitive than a pup’s skin. In any case, most human shampoos only wash off natural oils from a dog’s skin. When shopping for a dog shampoo for allergies, the most important thing is to limit your options to those products made only for dogs. 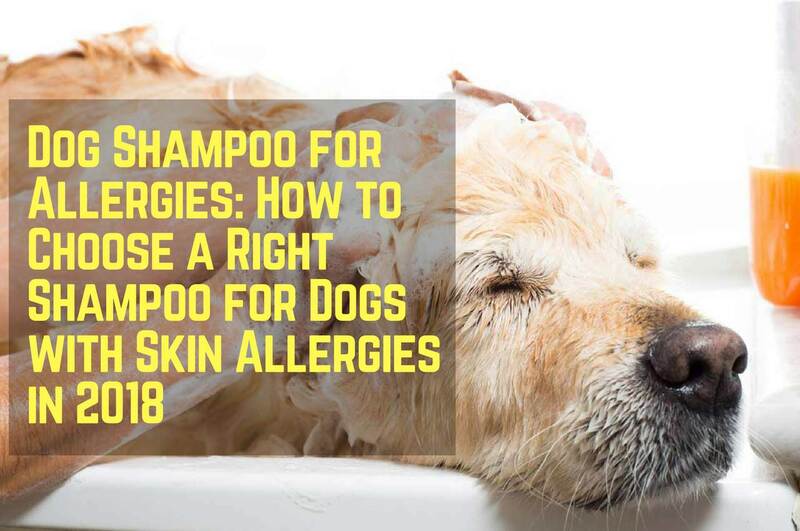 Also, look for shampoos with natural ingredients that help to either reduce the symptoms of skin allergies or make your pooch less susceptible to skin allergens. Some of the most beneficial ingredients incorporated in dog shampoos arealoe vera, rosemary, chamomile, honey, vitamin E, and tea tree oil. 2 Why Do Dogs Get Skin Allergies? 3 How Can Dog Shampoos Help?